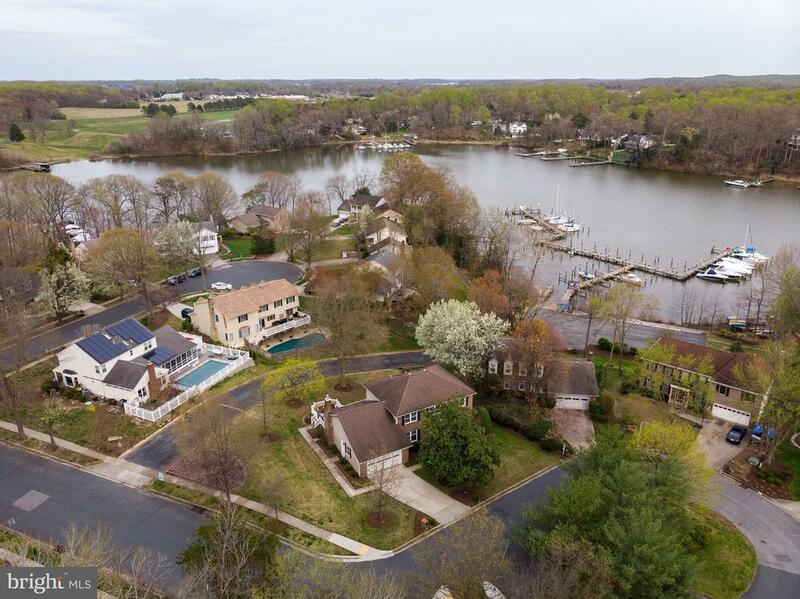 ANNAPOLIS LANDING AT ITS BEST...Enjoy every moment of the full water-privileged experience inthis special waterview setting just steps from the heralded 62-slip, deepwater marina in a charming community situated on the safe, protected headwaters of Beards Creek just a short distance out to the Chesapeake Bay. With its unique, undulating topography noted for its mature natural setting, the community offers walking paths and playgrounds (one in very close proximity!) where enjoying all that nature provides becomes a passion for any and all homeowners. Water-related activity...whatever the pursuit...stands at the ready for the adventuresome souls. This home, located on a quiet cul-de-sac, has been completely updated with top-of-the-line appliances, fixtures and decor with three levels of living worth loving for. The flexible living areas defy the misconceptions of what is perceived when its style..."Colonial"...is considered. Wide open spaces; large, sun-filled window sets; sweeping decks; a lower level en-suite bedroom; 450 square feet of dedicated storage space plus even a cedar ceiling closet for gear...plenty of room all around. The master bedroom brings spaciousness uncommon to homes of this style. Close proximity to major city links including Washington D.C. and Baltimore. If the time is now, now is the time. For the water warriors, slips are available for just $600 annually accentuated by the fact that the under-portion of the deck is set up to roll small boat "dollies" down to the water with ease. Directions: Riva Road to LEFT onto Westbury Drive, then RIGHT onto Stonehenge Drive, then RIGHT onto Milthorn Court. Selling Office: Goldsmith Realty, Inc.